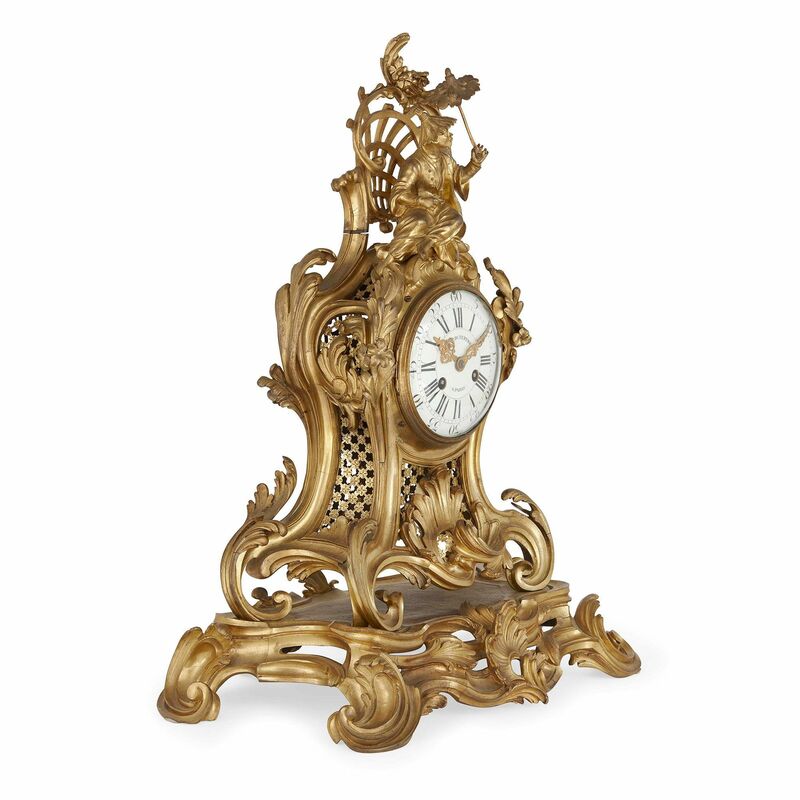 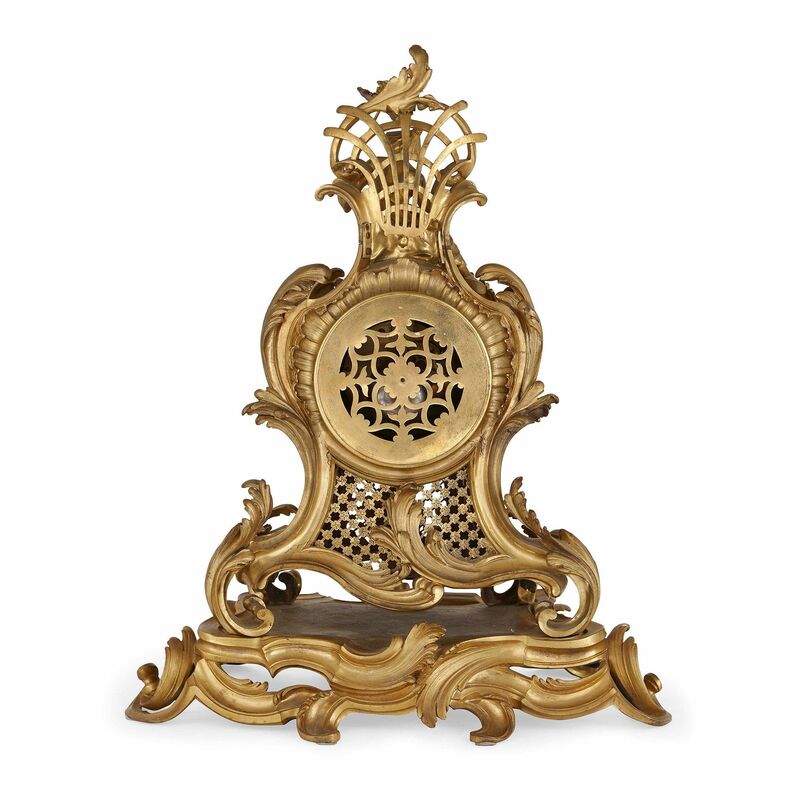 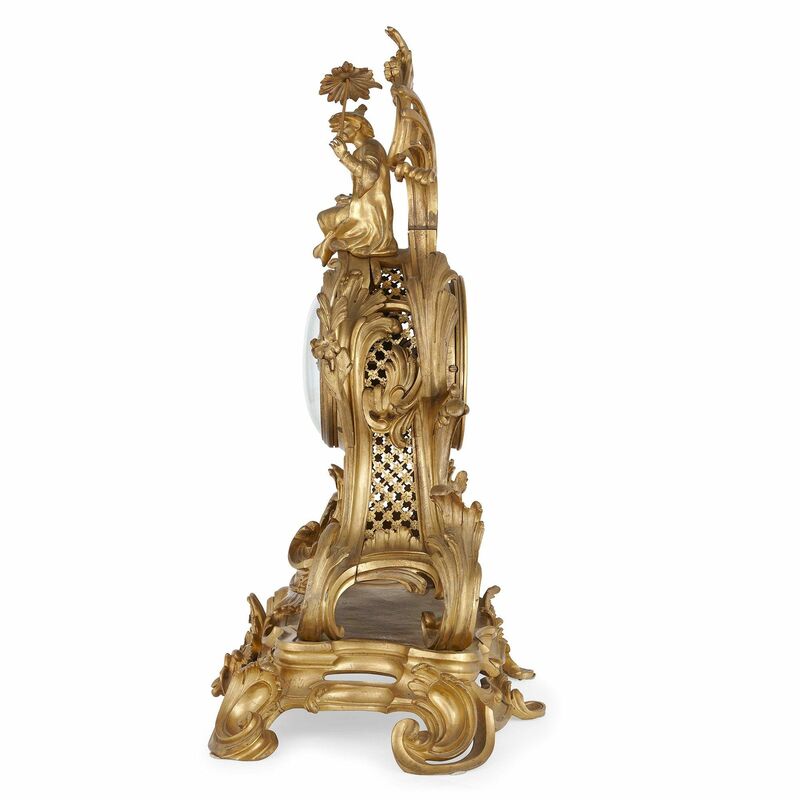 This beautiful mantel clock is distinctive for its fine stylistic fusion, which portrays a traditional Chinese farmer atop a Rococo decorated case. 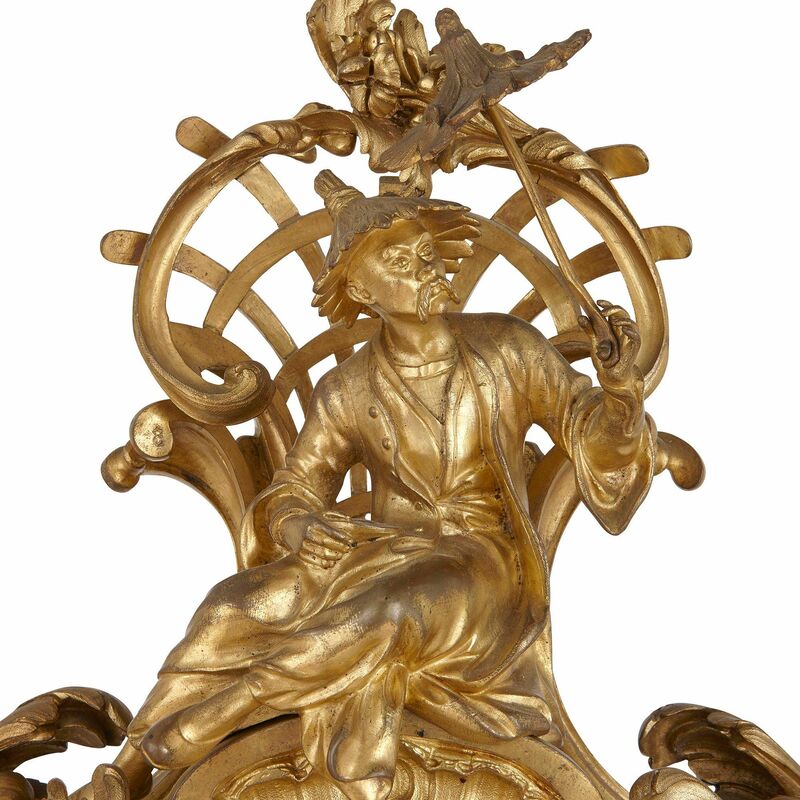 Louis XV period, the case attributed to Jean Joseph de Saint-Germain (Paris, 1719-1791), decorated with a scrolled leaf motif throughout, and surmounted by a Chinese figure of a man holding a parasol. 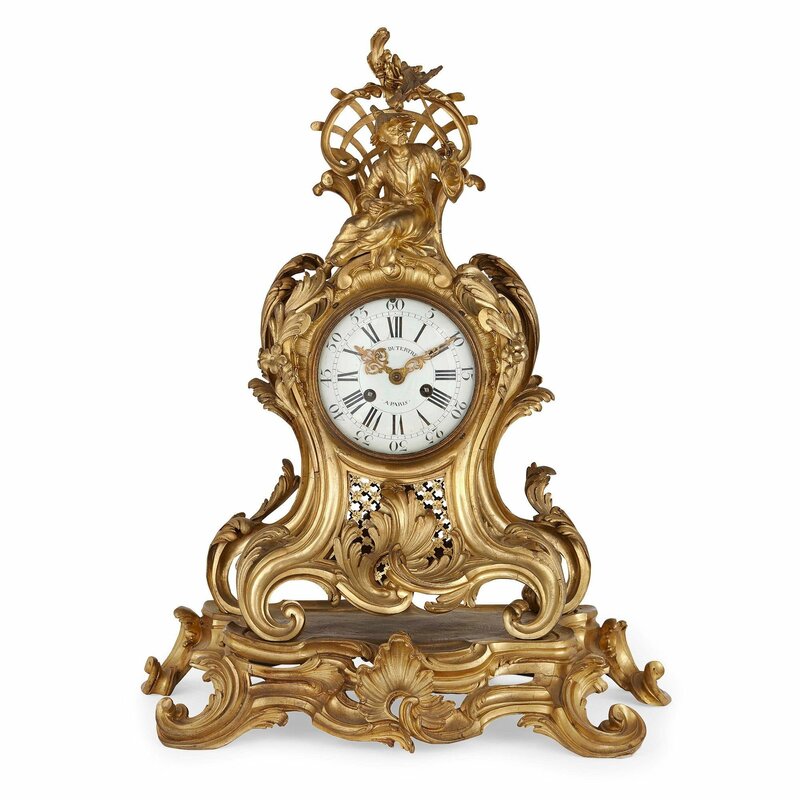 The clock by Nicolas Charles Du Tertre (French, 1715-1793), the enamel dial signed 'CH.les DU TERTRE/A PARIS', with finely detailed gilt metal hands.